These New York City kids were so excited to meet Shaun T, they were dancing! The Children’s Sports and Fitness Expo in Harlem New York draws thousands of kids. There are many activities that kids can do at the expo but they seem to enjoy Shaun T’s Fit Kids Club workout DVD! 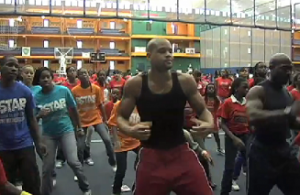 Shaun T. was there personally there to help the kids get started by leading them through a live Fit Kids Club workout. He also signed stacks of Fit Kids Club workout DVDs foor the kids to take home. 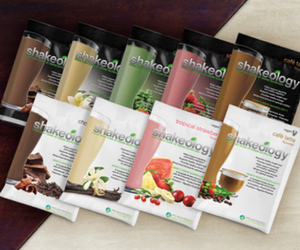 Fitness is not supposed to end after the fitness expo is over so they can take hone Shaun T’s Kids workout DVD and stay in shape! The Expo started 5 years ago when Vincent Ferguson decided to something about the rising rate of childhood obesity. Over 43 percent of kids in New York City are overweight. Now the Children’s Sports and Fitness Expo has grown to nearly 3,000 people! 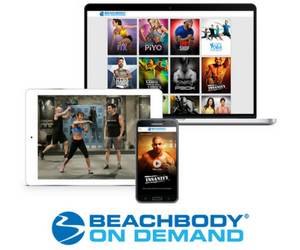 Beachbody and Shaun T. remain committed to reversing the trend of obesity for this generation and beyond!